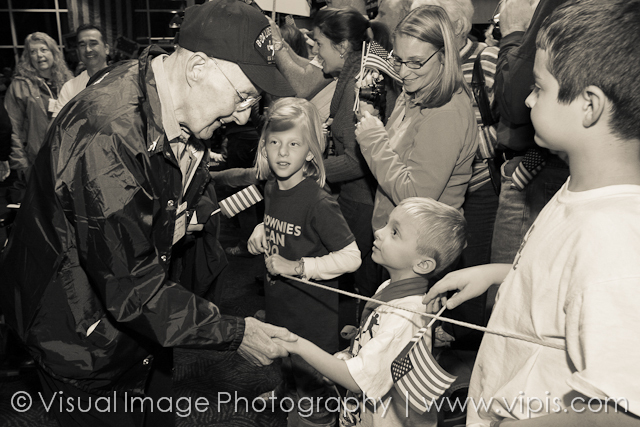 Two hundred WWII veterans flew to Washington, D.C. on the third Stars and Stripes Honor Flight out of Milwaukee on Saturday, November 6. 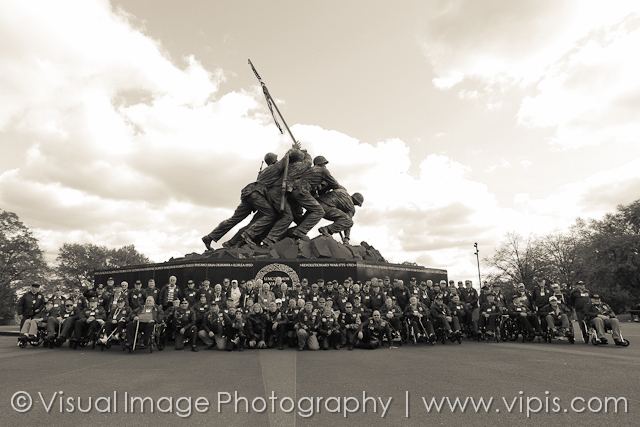 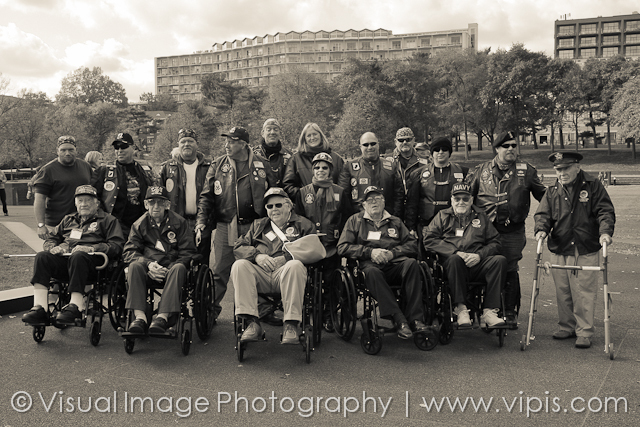 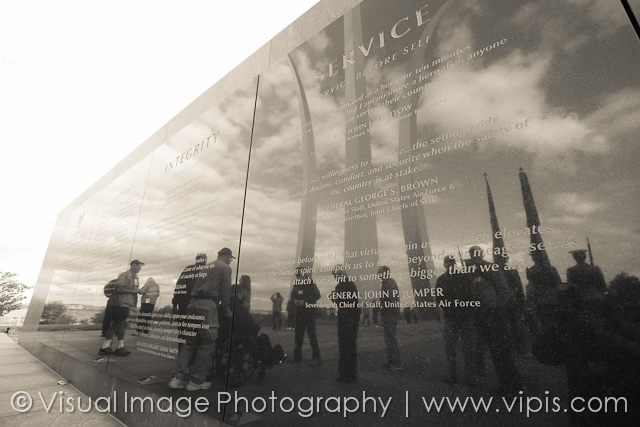 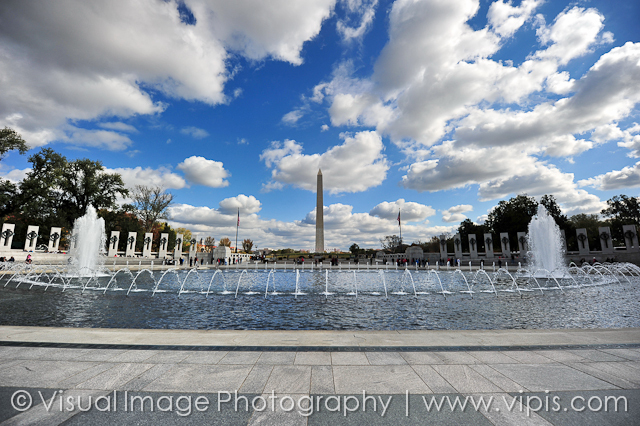 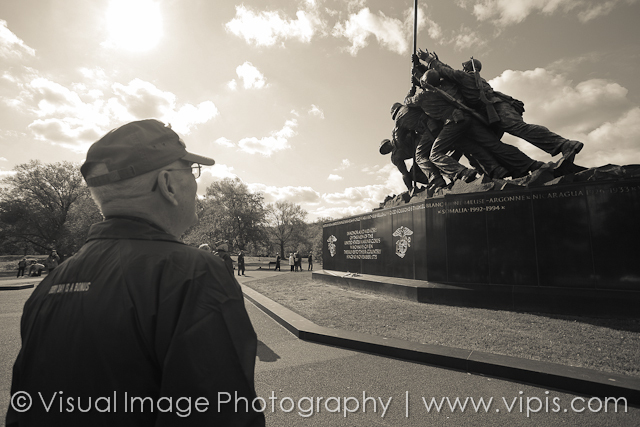 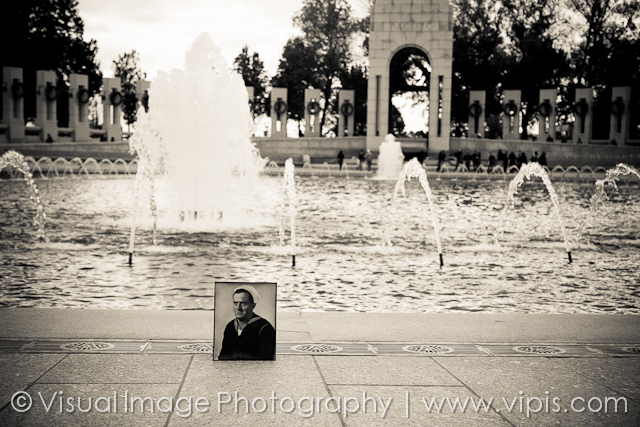 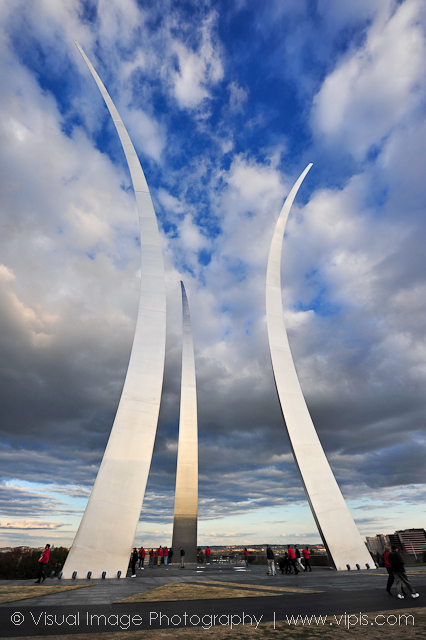 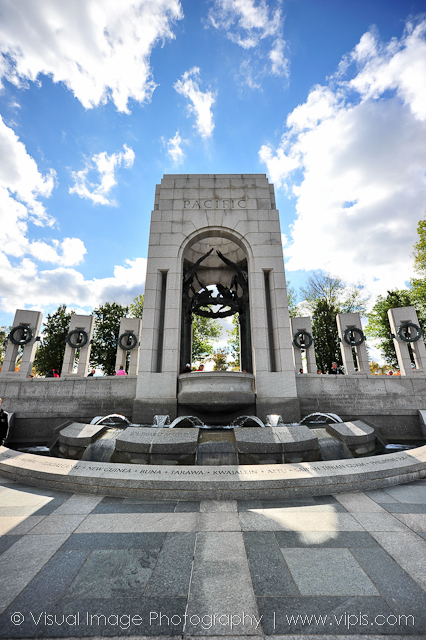 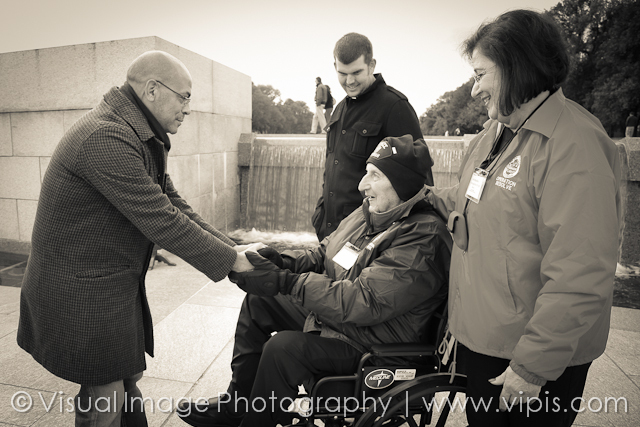 The veterans were able to visit the WWII memorial, along with the Air Force Memorial, the Iwo Jima Memorial, and Arlington National Cemetery. 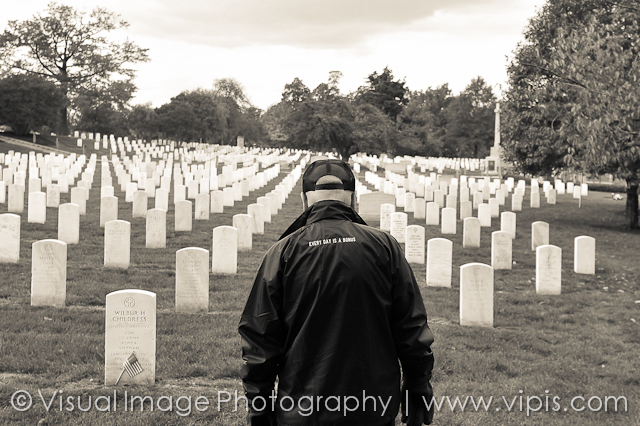 It is a lot of activity that somehow fits into one fast paced day. 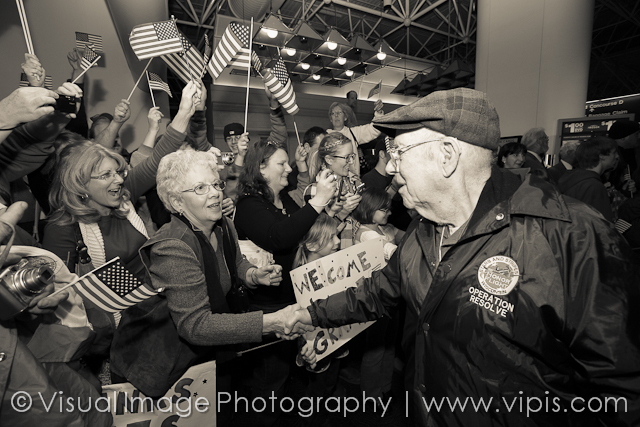 And at the end of the day, thousands of people were waiting at General Mitchell International Airport to greet them as they came off the plane. 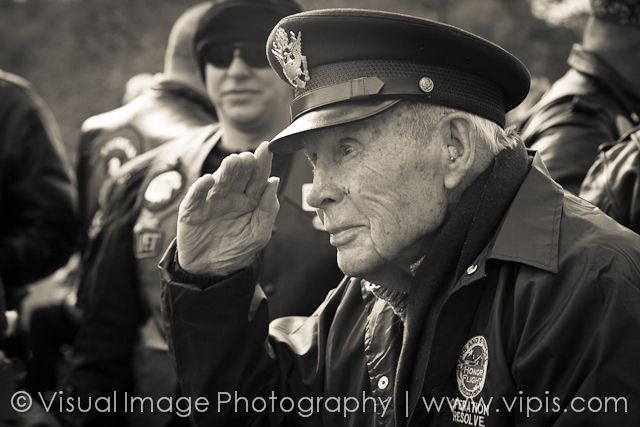 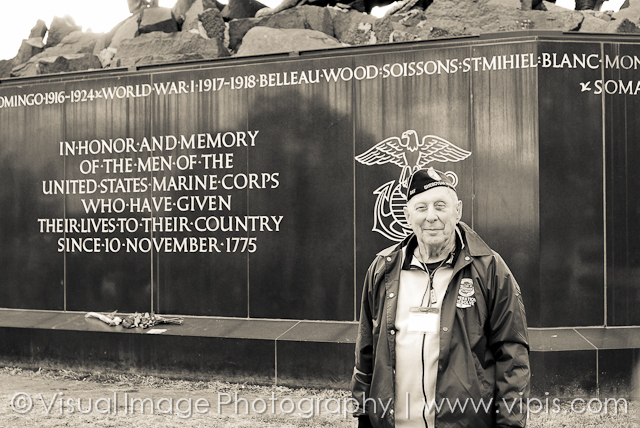 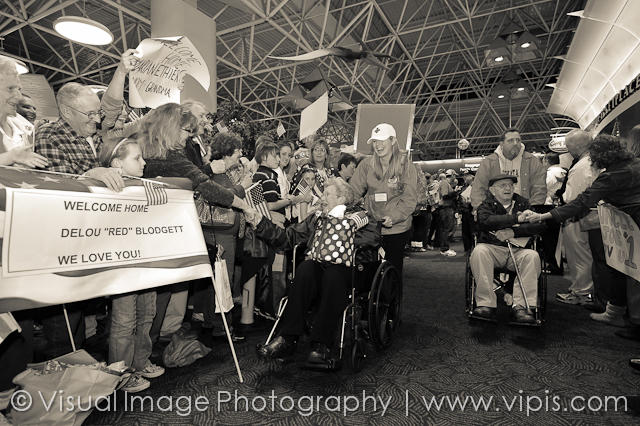 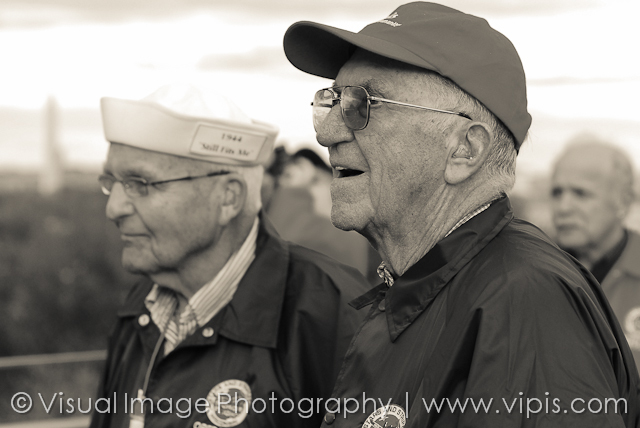 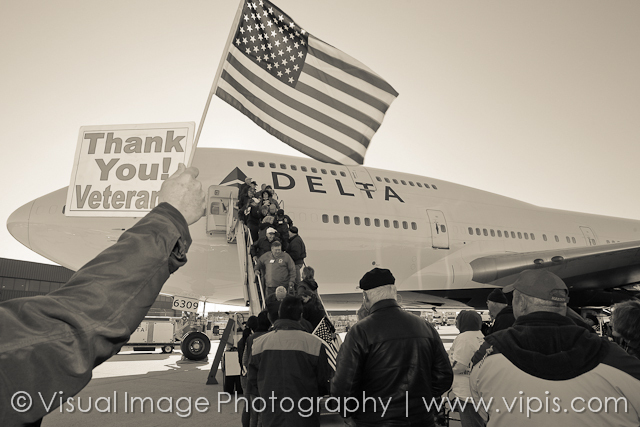 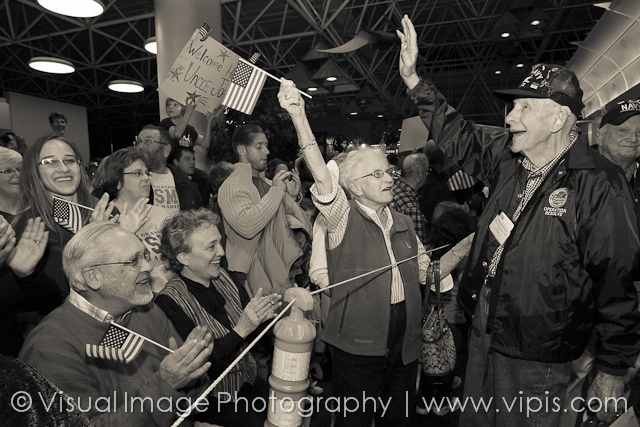 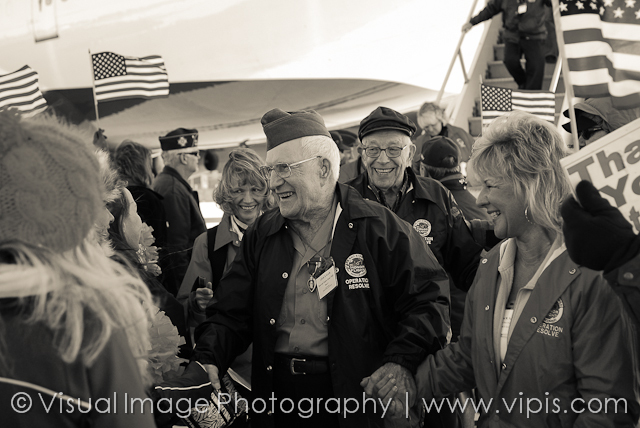 It is always fantastic to see the overwhelming support and celebration of the heroes from our greatest generation! 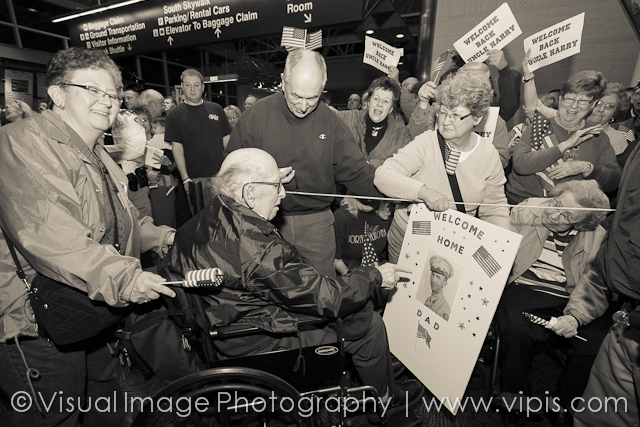 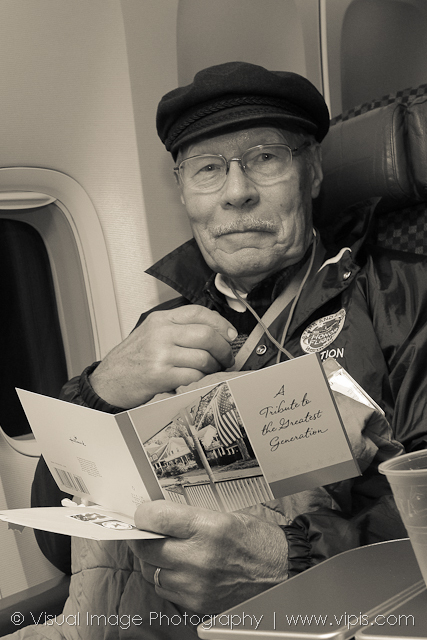 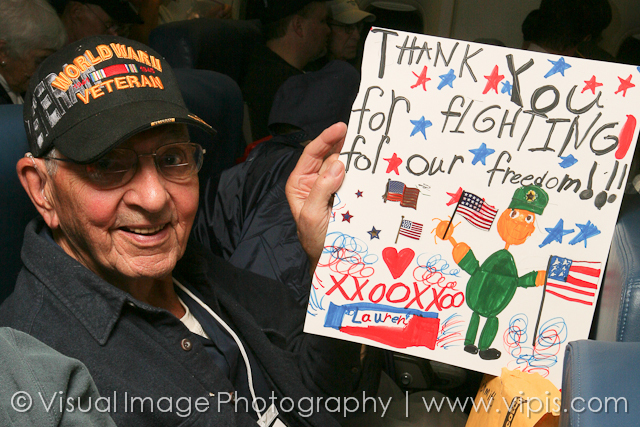 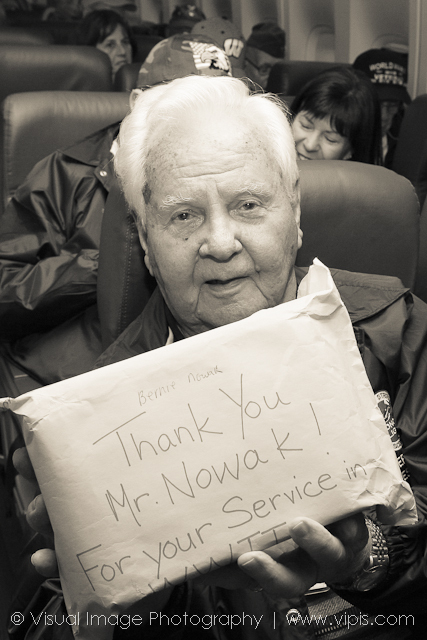 Even though the Honor Flight is only one day long, it is so important to express our gratitude for their service and sacrifice whenever we meet them. 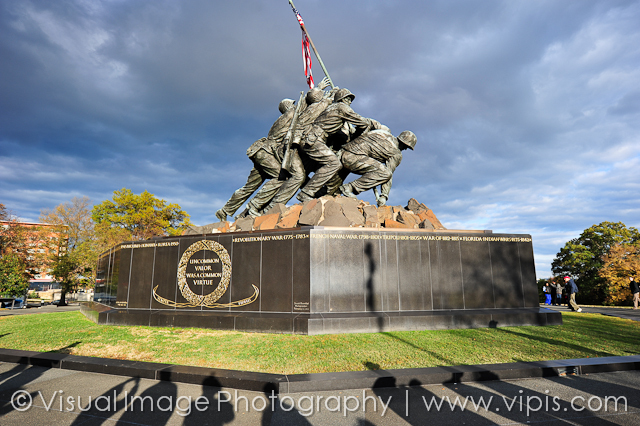 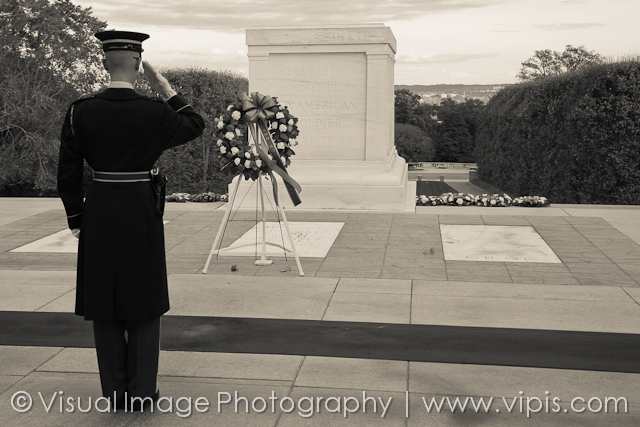 Veterans Day is coming up on November 11th. 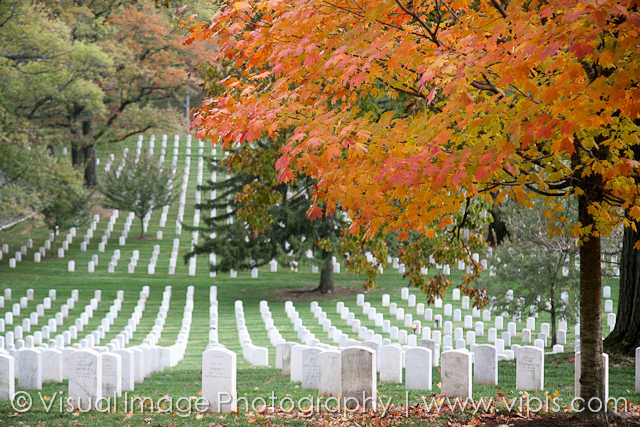 What a great opportunity to again give thanks for these men and women who defend our county and the freedoms we enjoy! 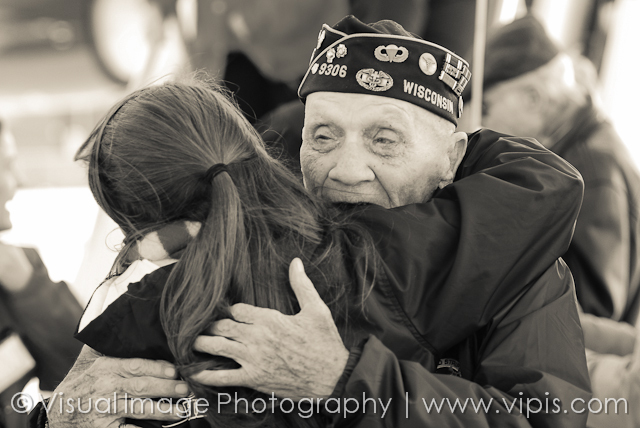 If you want to learn more about the Milwaukee branch for the Stars and Stripes Honor Flight, you can visit their website here or their Facebook page here. 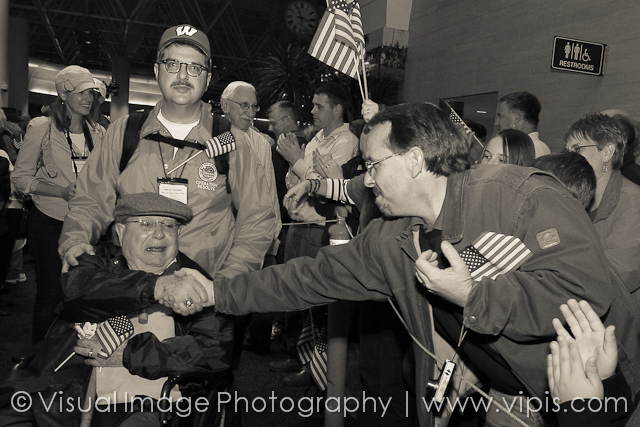 If you would like to learn more about the national Stars and Stripes organization, click here. 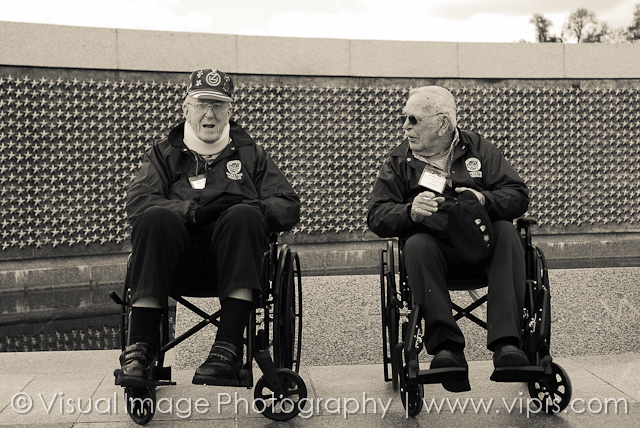 Here are a collection of photos from their trip. 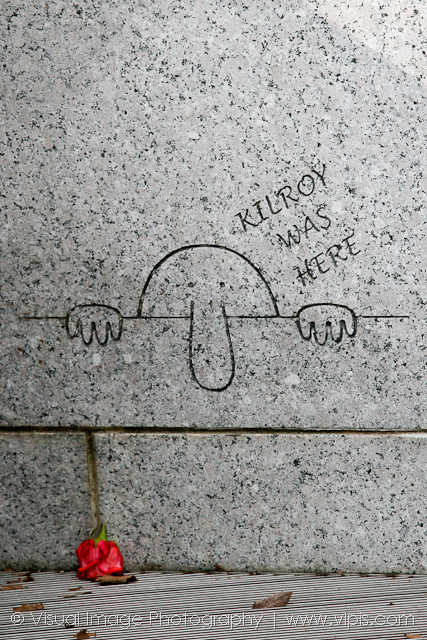 If you weren't able to find Kilroy on the trip, our photographer Courtney Lutz did and got a picture for you. 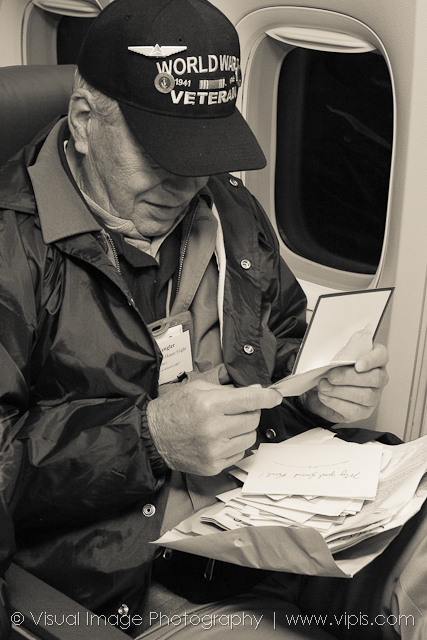 for these heroes to read on the return flight from Washington, D.C.
as they returned from the third Stars and Stripes Honor Flight out of Milwaukee this year.